Thus begins MORE THAN THIS, Patrick Ness’s third novel this year, a dazzlingly brilliant piece of YA sci-fi that must surely win him his third Carnegie. 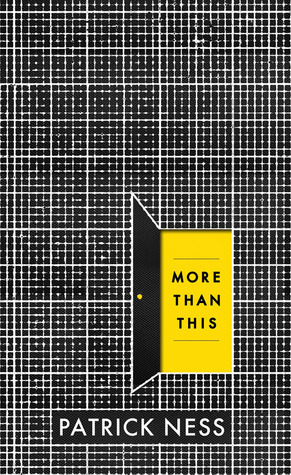 More Than This, by Patrick Ness. Inevitable Carnegie not pictured. Ness broke onto the YA scene with his CHAOS WALKING trilogy (the conclusion of which bagged him his first Carnegie), a series of books so incredible in stature and impact that he almost single-handedly destabilized the publishing industry in favor of YA. Literary fiction had nothing to offer that could compare to YA at this level. It fought back, sure, swinging the occasional dizzying heavyweight punch: Hilary Mantel’s WOLF HALL and BRING UP THE BODIES, Haruki Murakami’s 1Q84. No problem, thought Ness, as his devastating follow-up to CHAOS WALKING, A MONSTER CALLS, put a second Carnegie on his mantelpiece. However, possibly sensing the unfairness of his actions, he returned to his literary roots earlier this year with THE CRANE WIFE, an impossibly beautiful and haunting fable that righted the imbalance that he himself had created. It belonged with the Mantels and the Murakamis, joining them to form a group of books that, much like the Avengers, came together in unlikely fashion to save the world (of literary fiction). With balance restored, Ness took a quick detour into the world of Doctor Who, publishing a novella featuring the sixth doctor as part of the show’s 50th anniversary year. It was a humorously inventive and pleasant read, and felt just like a lost Peter Davison episode. Because MORE THAN THIS is something extraordinary. 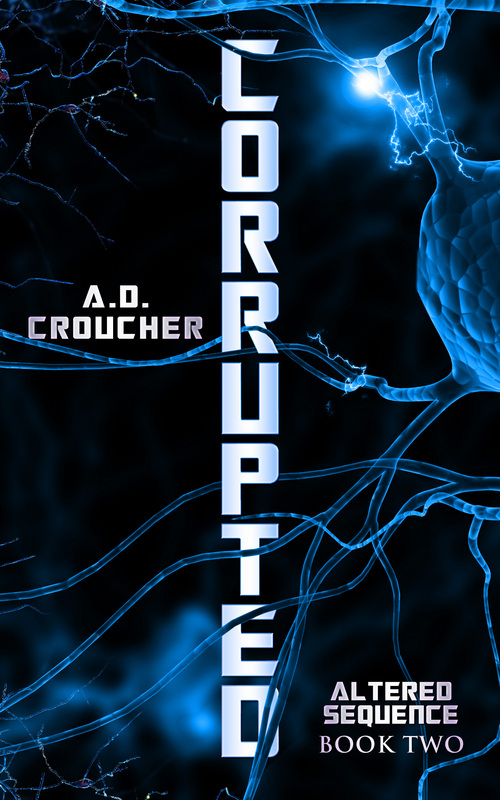 On its surface, it’s a smooth, propulsive read, elegantly written, with a narrative that flows. Below that beautifully-crafted surface, it has terrifying conceptual and emotional undercurrents that could pull you under, were it not for the fact that this novel overflows with compassion and hope. Those contradictions create a beautiful paradox, a knife edge of possible realities, a thrilling state of flux that Ness keeps us in throughout this novel. The novel opens in chilling style, with the brutal and shocking description of the violent, irrevocable death by drowning of the lead character. It’s a bold, stunning opening, made even more so by the fact that, one page later, Seth seemingly wakes up, somewhere far removed from where he died. As Seth explores his surroundings, Ness plays with the possibilities; is this purgatory? hell? another chance at life? something else entirely? This deceptively simple story engine – where is Seth and what has happened to him? – creates a powerful momentum that never lets up. Seth’s journey and memories give Ness the perfect opportunity to weave in his themes of hope and redemption. Bad things have happened to Seth and his family in the past, some of them because Seth happens to be gay. His sexuality, and the less than welcome reception it provokes in the outside world, is treated in a heartfelt and heartbreaking way by Ness. Seth carries a crushing amount of guilt; he’s destroyed by it. This novel is, in part, the story of how he comes to understand the nature of the guilt, and see the possibility of putting it aside. The more Seth learns about himself, his past, and his present, the more we come to realize that the apparently dystopian landscape that he wakes up in is not as deserted or lifeless as he thought. Ness is willing and able to fully embrace the potentially science fiction elements of his story (as he said in a recent BBC interview, he’s not snobbish about any element that a story might need). The book deals with ideas that bring to mind elements of THE MATRIX, TOTAL RECALL, even INCEPTION, but the key thing is that Ness absolutely knows it. He plays with it, dances with it, even has the characters comment on the movie-like story beats. It’s meta, but it also goes way beyond meta. Which is totally Ness’s point – what is reality? Yes, Patrick Ness isn’t afraid to totally get ontological up in here. MORE THAN THIS is, in a way, old-school, well-crafted, classic YA sci-fi, that brings to mind Melvin Burgess and David Almond with its strong simplicity and its other worlds. But it’s also all new, all now, all just ahead of us; a hugely original piece of writing that uniquely elides past, present and future with its knowingness, its playfulness, its lacing of potential bleakness with light and heart and warmth, its colliding of sci-fi and contemporary, and its witty characterizations. It is an intriguing, moving and ultimately hopeful experience. There is sadness, there are tears, but there is also warmth, laughter, companionship and compassion. 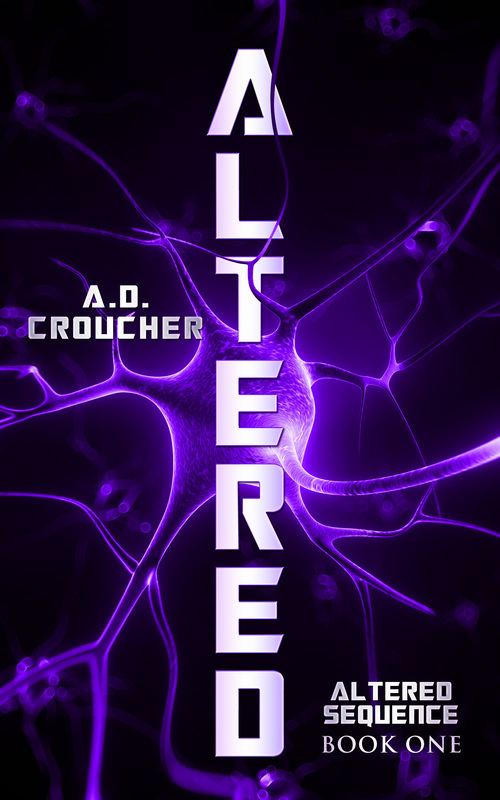 The sci-fi is seamlessly woven into the emotional narrative, making it even more compelling. It’s such a human book; full of what it means to be human. To feel. To love. To lose. To die. To live. Ness had better make sure there’s room on his mantelpiece for that third Carnegie, because this is surely the YA book of the year.